An R toolkit for automatic segmentation of chronic stroke lesions. 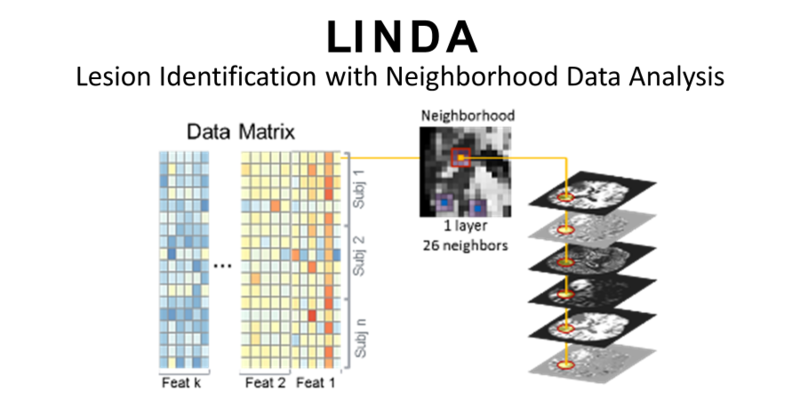 LINDA uses hierarchical predictions from low to high resolution, to achieve an iterative improvement of the segmentation. Relies on ANTsR for image manipulation and uses pre-trained random forest models for the prediction of the lesion. Details are available in Pustina et al. (Hum Brain Mapp. 2016 Apr;37(4):1405-21).